Mason DUI Attorney Douglas Riddell has been in the trenches defending clients facing DUI / OVI charges in Ohio for nearly 9 years. 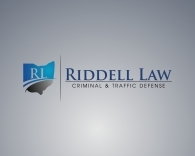 Most recently, Mr. Riddell was been listed as an Ohio Rising Star by Ohio SuperLawyers Magazine in the field of DUI law, a recognition reserved for only 2.5 percent of the attorneys in the state of Ohio. Mason is a high traffic area that is, for better or worse, heavily dependent on transportation by car. Taxis are not readily available as they might be in a larger city. Given the lack of transportation alternatives in Mason / Deerfield Township area, deciding to drive home from the party or the restaurant is a decision many people make. But that one decision can have long lasting affects on your life for many years to come. If you just walk in and plead guilty to your Mason DUI charge — even on a first offense — penalties could include: up to 6 months in jail, $1000 fine, and a 6 month to 3 year drivers license suspension. If your job requires you to drive, your livelihood could be at risk. The potential penalties get even tougher if it is your second or third offense. That is why hiring a knowledgable Mason DUI attorney is so critical. So what can our Mason DUI attorneys do to help? First, we can help develop a defense strategy for your Mason DUI. The facts of every case are different, but below are a few common legal defenses to DUI / OVI charges in Mason, Ohio. When we meet to discuss your Mason DUI case, we will explore each of these, as well as other potential defenses, toward the goal of reducing the charges or the penalties you are facing. “Operation.” In Ohio, a DUI charge is called an OVI (operating a vehicle under the influence). One of the key elements of an OVI charge is operation: Were you actually driving / operating the vehicle? If you were parked when arrested, did the officer or someone else actually see you driving? Likewise, if you were in a one car accident, did anyone actually see you operate the car? Were you in the passenger seat when arrested? Is there any scenario under which someone else could have been driving? Lack of Reasonable Suspicion to Stop. Did the officer believe you had committed a traffic violation? If you were not speeding, weaving, or otherwise committing a traffic offense, there could be a challenge to the stop. In Ohio, officers cannot pull you over for no reason. They must be able to articulate specific facts that lead them to believe you had committed a crime or traffic violation. If they cannot, then it is possible that the whole stop could be thrown out of court. Unlawful Detention. In Ohio, officers are permitted to detain you just long enough to effectuate the traffic stop. If the officer unreasonably detained you longer for no reason, there may be a legal challenge to be had. Probable cause to arrest. Was there probable cause to arrest? Did you pass the field sobriety tests or blow under the legal limit on the breathalyzer test? If so, there may be challenge. Admissibility of the breath test. In Ohio, the breath test can be challenged on administration grounds – that is, did the police officer follow the required protocols in administering the test? Admissibility of the field sobriety tests. There are a number of field sobriety tests an officer might give you: walk and turn, counting, standing on one leg, etc. There are very specific ways in which officers are required to administer these tests. If the officer fails to follow certain procedures in instructing you, or if he asks you to take certain tests on an incline or uneven surface, the tests might be vulnerable to challenge. Call today to speak with Douglas Riddell, an experienced Mason DUI attorney – (513) 655-7240 or email at doug@riddelllaw.com.